Building a business in the land of opportunity, Kazimierz “Casey” Swistun, an engineer who emigrated from Poland in 1984 launched his specialty remodeling firm, Swistun Inc., after years of working as a siding and window subcontractor. Focusing on roofing, siding and gutters, Swistun has, in 13 years, grown his company to approximately $1 million in sales, by building trust with his customers. That trust is based on customer satisfaction, which he backs in a highly unusual way. He pays a $500 deposit check at contract signing. Swistun says that very few of his $500 checks are ever cashed. Nearly all of his clients send the money back. But the strong gesture of good faith leads to tremendous levels of good will and to referrals. Swistun does not advertise in the Yellow Pages, nor does he do direct mail. He does not need to. He is ranked No.1 in the gutter service section of AngiesList.com for the Northwest Suburban Chicago area he serves. And the company is also ranked highly in the windows and siding sections of the Angie’s list consumer-feedback Web site that so many homeowners now turn to for referral advice. Swistun was a man out of his element when he took on the job of a helper with a siding crew. After his first year he took all the money he had saved up to purchase his own tools and truck to become a subcontractor for the siding crew. It was two years later, on a Friday, when Swistun decided that come Monday he would no longer be a subcontractor and would start working for himself. In 1994, Swistun got bolder. 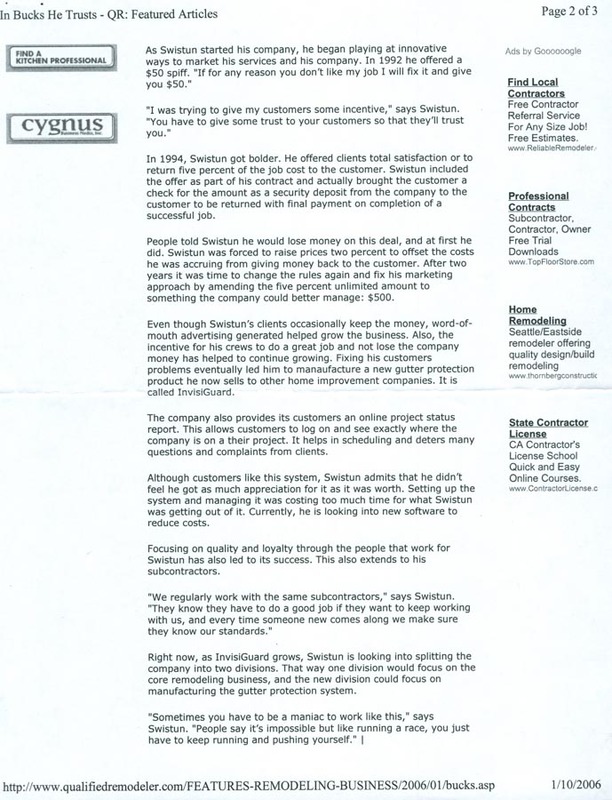 He offered clients total satisfaction or to return five percent of the job cost to the consumer. 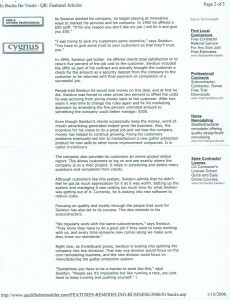 Swistun included the offer as part of his contract and actually brought the customer a check for the amount as a security deposit from the company to the customer to be returned with final payment on completion of a successful job. People told Swistun he would lose money on this deal, and at first he did. Swistun was forced to raise prices two percent to offset the costs he was accruing from giving money back to the customer. After two years it was time to change the rules again and fix his marketing approach by amending the five percent unlimited amount to something the company could better manage: $500. Even though Swistun’s clients occasionally keep the money, word- of- mouth advertising generated helped grow the business. Also, the incentive for his crews to do a great job and not lose the company money has helped to continue growing. Fixing his customer problems eventually led him to manufacture a new gutter protection product he now sells to other home improvement companies. It is called InvisiGuard. 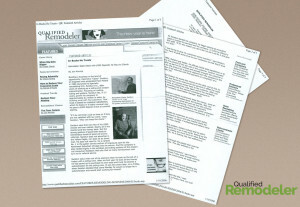 The company also provides its customers an online project status report. This allows customers to log on and see exactly where the company is on their project. It helps in scheduling and deters many questions and complaints from clients. Although customers like this system, Swistun admits that he didn’t feel he got as much appreciation for it as it was worth. Setting up the system and managing it was costing too much time for what Swistun was getting out of it. Currently, he is looking into new software to reduce costs. Focusing on quality and loyalty through the people that work for Swistun has also led to its success. This also led to its success. This also extends to his subcontractors. Right now, as InvisiGuard grows, Swistun is looking into splitting the company into two divisions. That way one division would focus on the core remodeling business, and the new division could focus on manufacturing the gutter protection system.